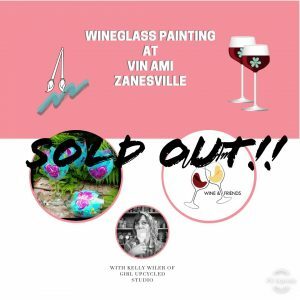 Join us on Thursday, April 25, to paint your new favorite wine glass! Kelly Wiler, Girl Upcycled will host and guide you through the steps to create a beautiful wine glass to enjoy for use at home! 🍷🧀🥖A special of bottle and cheese board to share with friend will be available for separate purchase.🥖🧀🍷 Painting begins at 6 pm. 📌RESERVATIONS REQUIRED and seating is limited!! Use the link provided to copy into a browser to register or visit girlupcycledstudio.com and click on classes.